Why do we edit old drawings in lithography ? An art-work is unique. It cannot be divided or multiplied. As far as the greatest departed artists are considered, only few museums or rich and private collectors are in a position to acquire the object of their desire. What is left for others, is the reproduction, should it ever to be found ! Most of the time, it offers a poor quality, and is often not worthy when compared to the original. 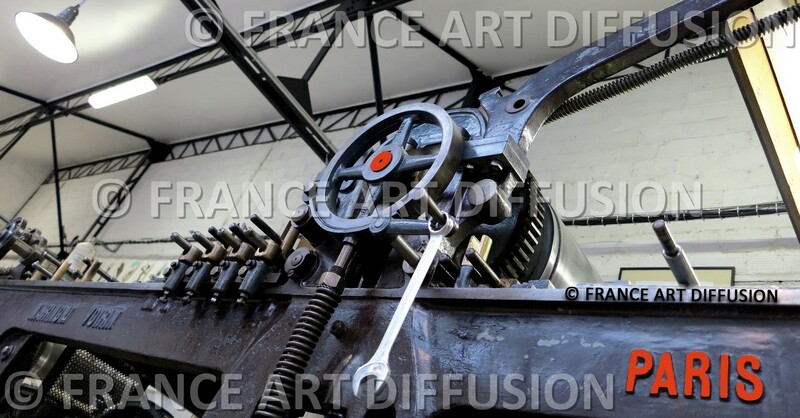 Since 2010, in partnership with some national and international museums, FRANCE ART DIFFUSION has been editing lithographs of some art-works from the greatest painters of the 19th Century and beginning of the 20th Century. In order to be issued, the selected drawings or paintings must not have been edited as lithographs,neither during the painter’s lifetime nor after his death. 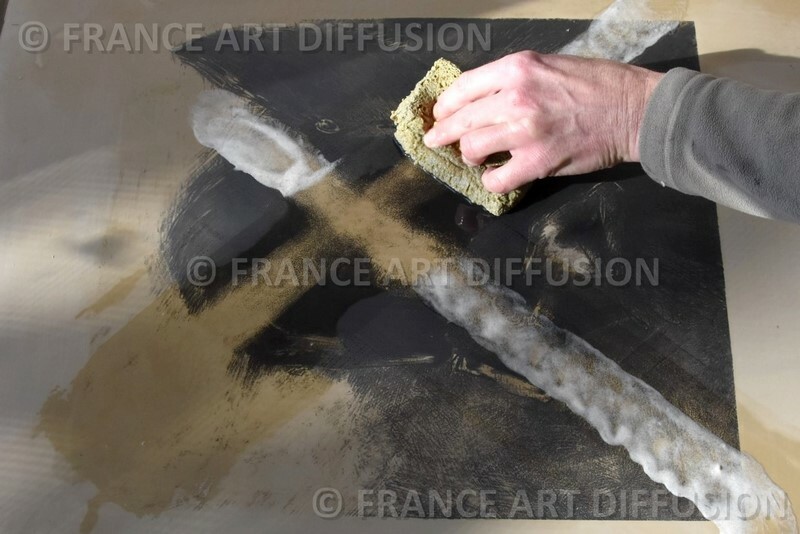 Therefore, lithographs edited by FRANCE ART DIFFUSION are being edited for the first time ever. However, we exceptionally have re-edited some original old lithographs* when they are just unobtainable and if they can be found it will therefore be at the highest possible price. Example given, the price for an original lithograph like “Madonna” issued by Edvard Munch in 1895 can skyrocket to hundreds of thousands Euros. *Original lithograph issued by the artist. Being in existence for more than two centuries, the litho is a door wide open to the past. Supported by the last prestigious lithographs workshops in Paris, we do our utmost to reproduce a work in a way that the painter would have liked it. With the same technical and artistic constraints, the same moves are made on the very same period machines. Let’s make no mistake… despite its elderly age, the Litho remains a means of reproduction unbeaten. It stays in tune with the original art-work and hence becomes an art-work. The Litho is the only piece of art-work that could both meet our requirements and yours. 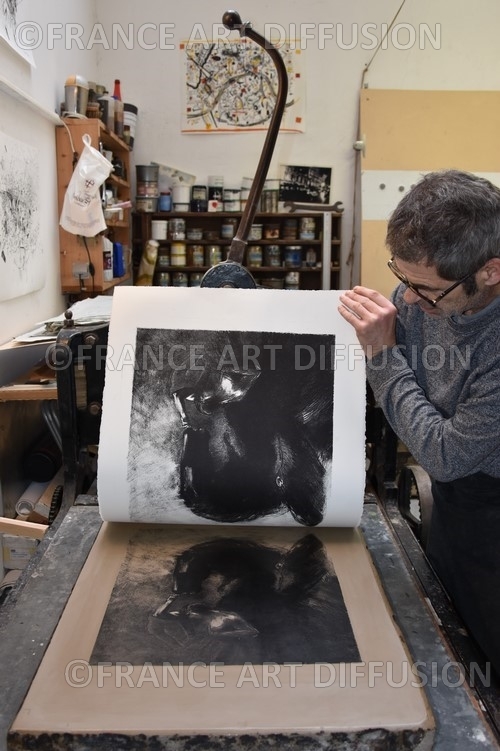 If the Lithograph process was invented in Germany at the end of the 18th Century, it is under the influence of the “Ecole Française” that it has become the way of expressing art feeling that we know today. Heirs to this long tradition, we work with the last few lithographs makers and workshops in Paris. A step in the Opposite Direction. 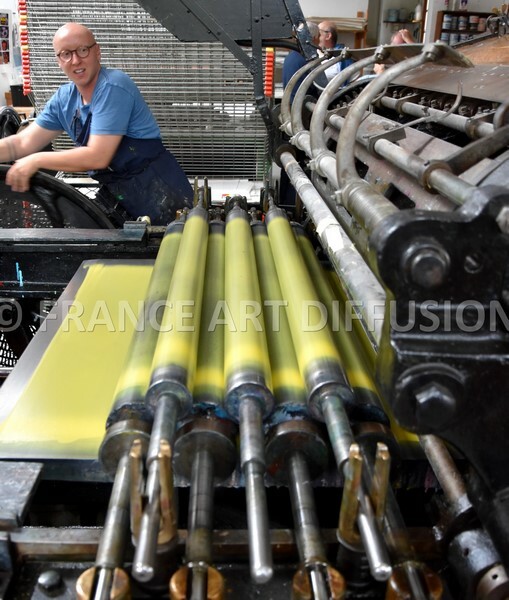 Contrary to the rules of modern trading and its abuses, far away from overproduction, the lithographs edited by France Art Diffusion are printed between 25 & 65 copies absolute maximum only. Therefore, the lithograph remains a rare and precious possession, much sought-after by demanding people. Therefore the printing of drawings is only issued once and in compliance with the number of expected editions. The design of a lithograph is rather expensive due to very high technical and artistic constraints. The various colors, the size and the number of copies printed are the determining factors in setting up the price. To give an example, a lithograph bearing 7 colors will require as many stones with drawings (7 colors will demand 7 times under the press). In order to attract collectors, the lithograph should be issued in a very limited number. While keeping an affordable sale price, the cost of the lithograph is therefore broken down on a number of limited copies (If the number of prints is reduced, the cost price remains high). Besides the quality, it is also the small number that guarantees the value of our lithographs. Please note that a litho is not a poster or just another art reproduction. When designing a litho, strict technical and artistic standard requirements should be fulfilled. However, a lot of basic and common reproductions are suddenly becoming lithographs without having the relevant quality. Adapted to fit any case, the word « lithograph » is nowadays used in an attempt to justify, to give credit and therefore to deceive a not well-informed buyer. Invented at the end of the 18th Century, this technique is indeed a good means of reproduction but above all, it is a creation work. as the Roll-Royce company means to the car industry or Louis VUITTON to the fine leatherwork. This is not a matter a chance if all the world’s greatest painters have adopted this technique. before being hand-printed on the lithographic hand-press). a simple “copy/paste” without feeling. You must have understood by now …the lithograph is infinitely more than just a reproduction. Its exceptional design is a masterpiece in its own right.